Happy Tuesday! 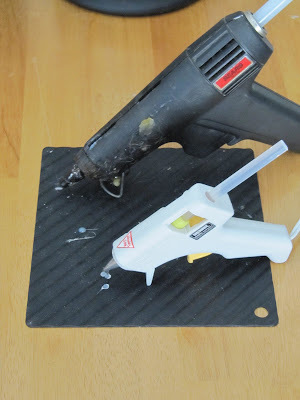 Today's Tool Time is a combination of a post I did last year and some new ideas too. This Picture Perfect Organization frame below is in my sewing room, but the ideas or the concept can be used in any room. I will mention a few other uses for this idea at the end of the post. These little boxes were on the back of one of my craft tables. 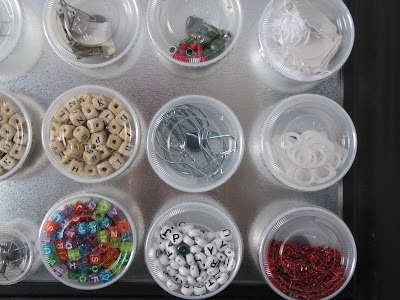 I love them and used them to store all those little craft items you just can't live without! They stored all kinds of things, but the only problem was I had to open up each drawer to see what was inside. Yes, I could have labeled each drawer (I do love my labels), but this is a very small unit and there would be too many labels showing on the front...too busy. 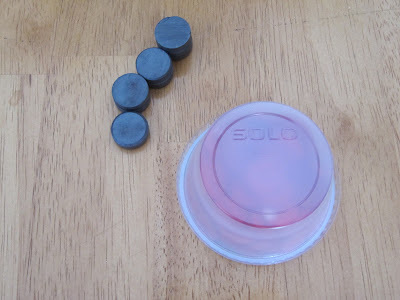 I also did a post in the past using those little plastic cups that you get duck sauce in at Chinese restaurants or the little ketchup cups from fast food restaurants. 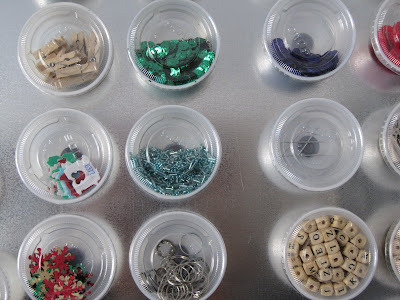 I would wash out the cups and recycle them for storing tiny craft/sewing items. Click HERE for that post. 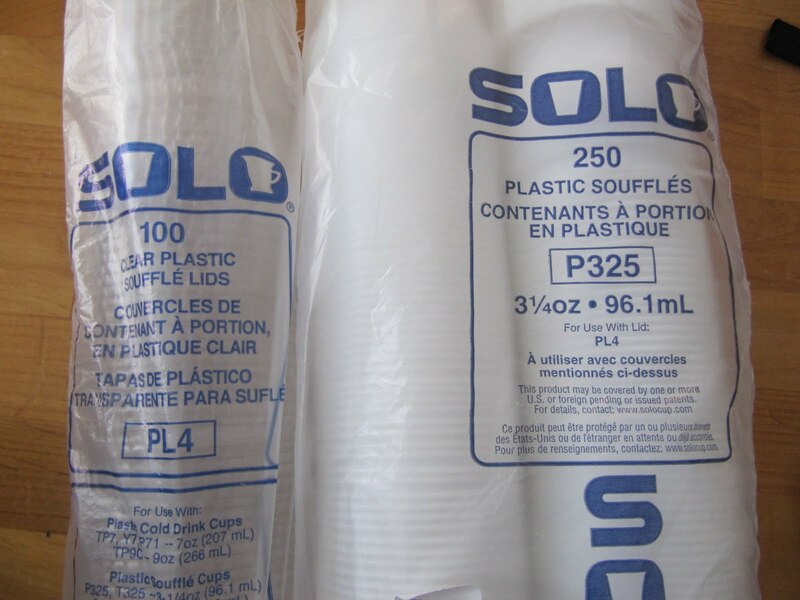 Well, I broke down and went to a party supply store and bought a boat load of them...yes, you are reading that label correctly...250 cups. What on God's green earth am I going to do with 250 plastic cups? Absolutely everything!! My only question for the Solo cup company. Why do you sell a package of 250 cups and then only sell a package of 100 lids. I can't even buy 2 package of lids, because that's still only 200. Now I have to buy 3 packages of lids and then I'll have 50 lids left over. Why Why Why??? I'd gladly pay more money for the larger package of lids. Now the fun part. Gather up all your stuff. Don't deny it...you have stuff! You may think you don't have stuff, but once you start pulling out drawers, storage bags, bins and boxes...boy oh boy do you have stuff! Now you will need magnets. 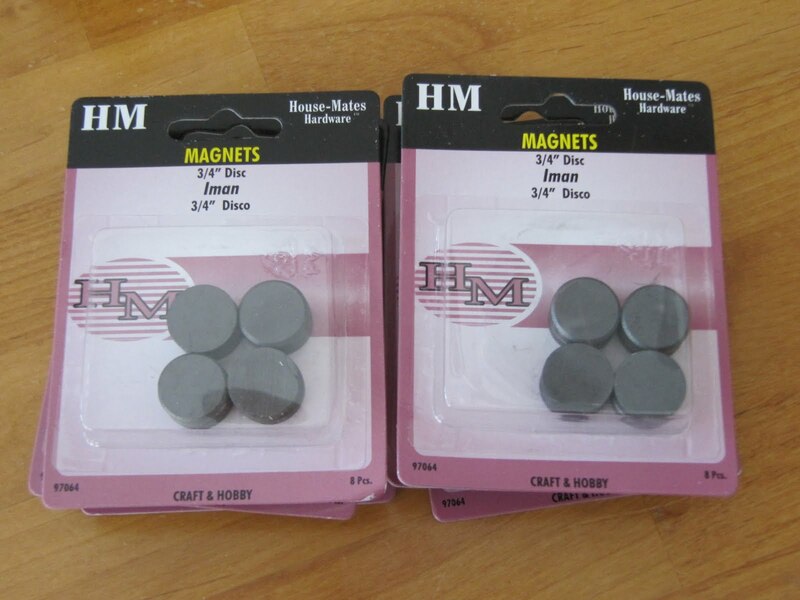 Not sure how much they are in the craft store, but these are at Home Depot for only $2.49 for 8 magnets. 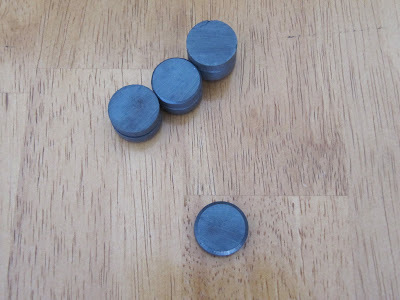 I used the 3/4" round thicker ones for more strength. 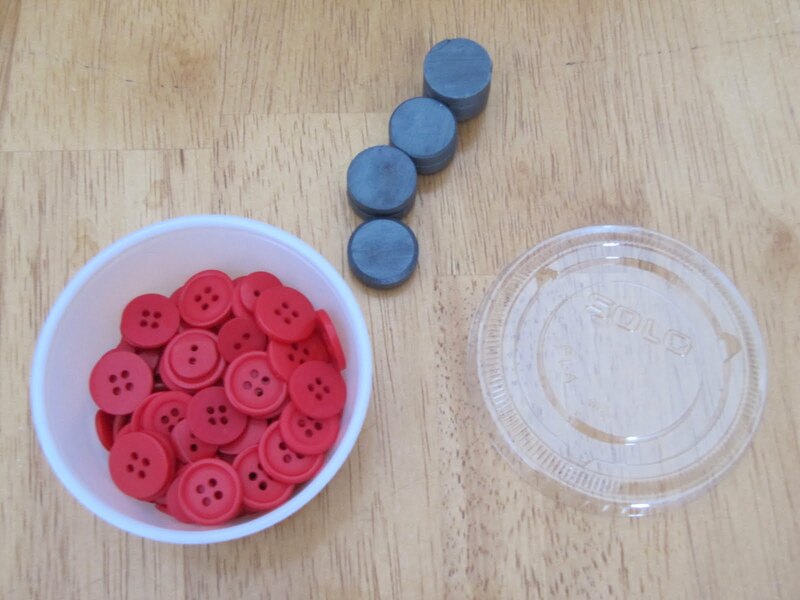 Total for each plain lidded cup is 9 cents or 40 cents for each magnetic cup! 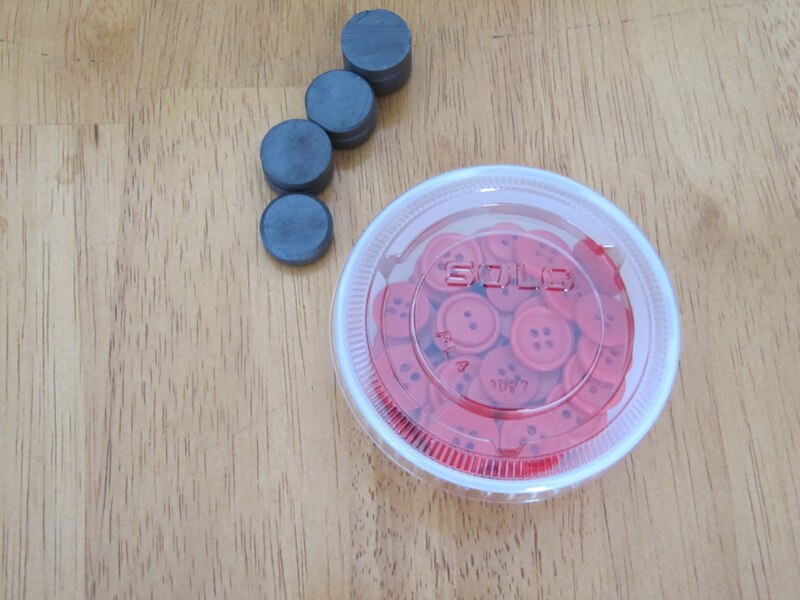 I used low temp hot glue to attached each magnet to the bottom of all the cups. Do that 40 more times! If any of your cups have heavy items, I used two magnets on the bottom. Now just stick them to your Metal Picture!! 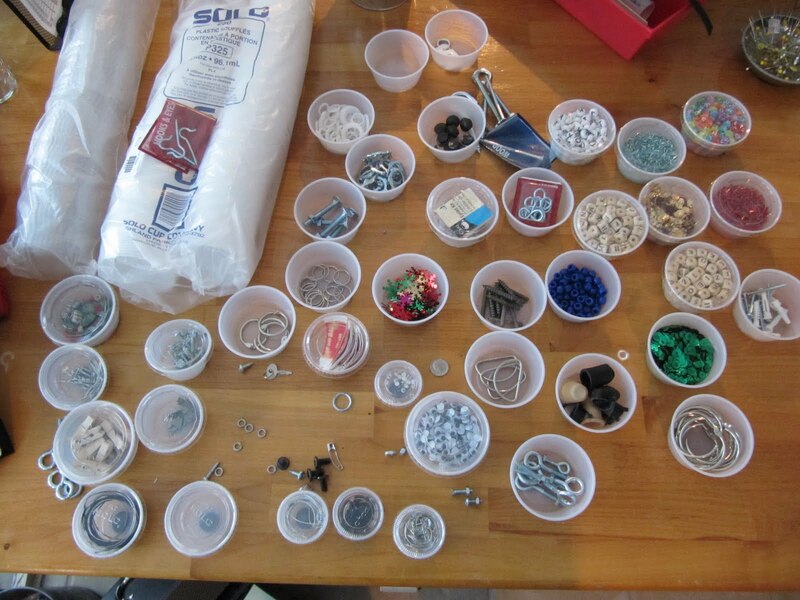 I arranged my by hardware, craft, sewing and office supplies. I bought that Minnie Mouse teapot a few years ago in Disney World and this last trip in December, I bought that mug. It's the bottom half of Minnie Mouse...too cute! 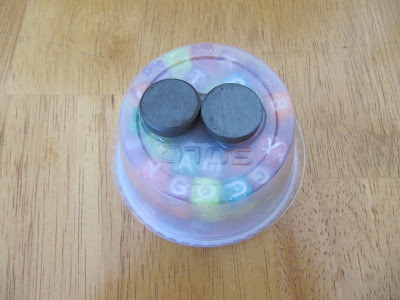 Now you don't have to use the magnets at all. 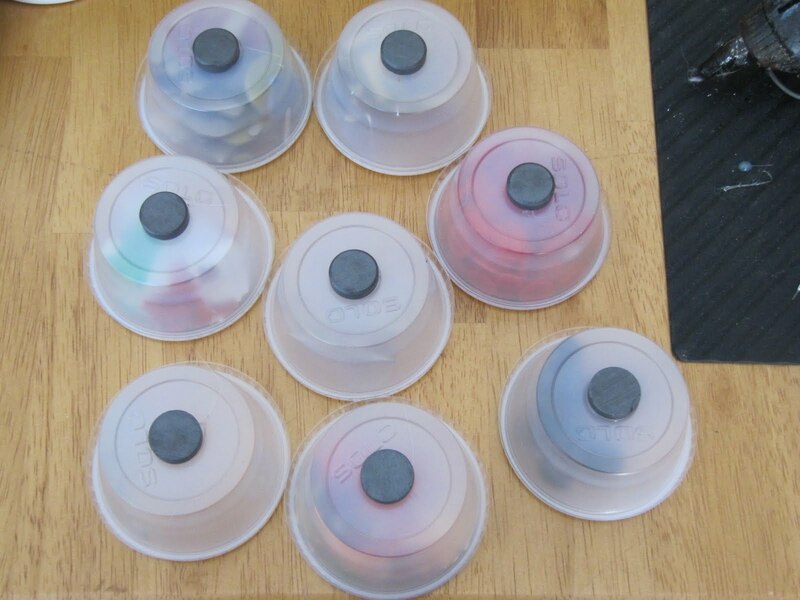 You can just put the lids on all your cups and they stack up perfectly on themselves for easy storage. I mentioned in one of the other posts all the ideas you can use for these cups...but I'll list them here too and more. The list could go on and on...Have fun filling yours up. You can find these in party or restaurant supply stores. Be careful when you search for them online. If it's a higher price like $48.00 you are buying 10 packages of 250, so that's 2500 cups. Now that's a lot of cups!! I have a lot of crap, but I don't think I have that much to fill 2500 cups! Wow, love it! I'm so totally inspired to buy these cups and fill them with a ll sorts of randomness! That's a fab idea - organises the junk but looks good at the same time. And you can see exactly what you have there. That is one amazing idea, I love how you can see everything at one glance. They work great in the kitchen to PREP a recipe so everything (all the small stuff) is all ready measured and at your finger tips. That is why you don't need an equal number of lids, they are used in cooking schools all the time, prep it, it sits out, everything is ready at a station, used and tossed. 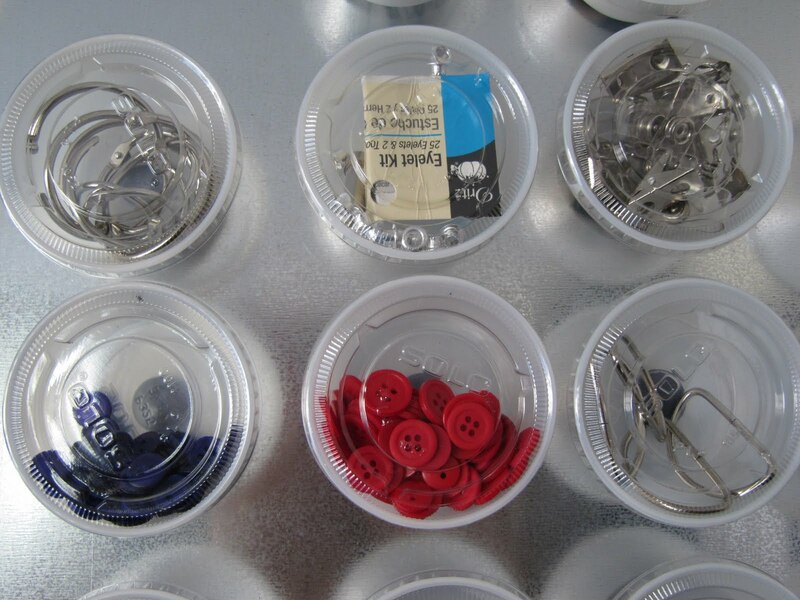 Karen I'd rather use them in the sewing room than in the kitchen.....much more fun in there. you are so clever with your ideas. my trouble is i don't have any wall space! I have the stuff! Another great idea! I purchased a sleeve of those little cups about 25 years ago to help with sorting my beads for making rosaries. I still have some of them kicking around too! The Gerber baby food plastic containers with the blue lids work great for this too. I saved a bunch of those for sorting little things. I love containers of any size! You are so very creative! I have no wall space either but I'll keep the idea in mind. I still think you need to publish a book with all these ideas in it--I'd buy one. 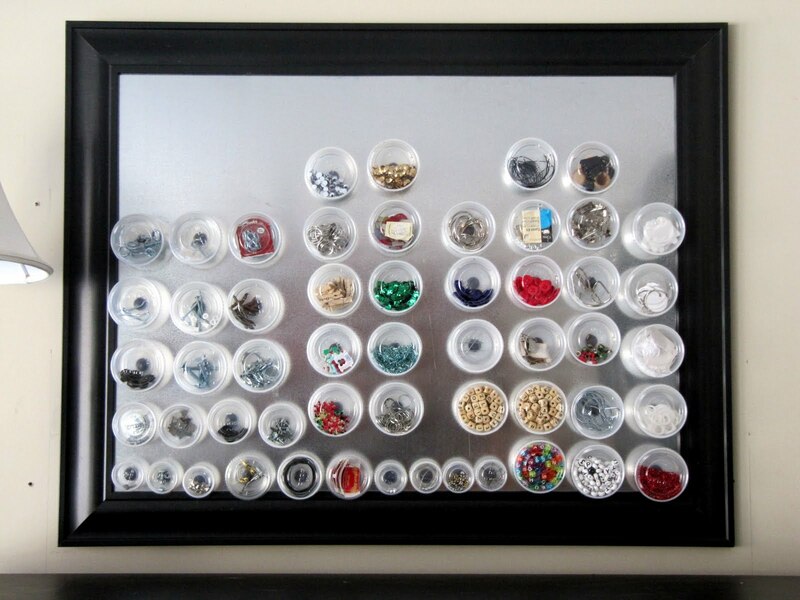 I just think the plastic jars and magnets are the greatest thing since computers. Sent your blog on to a school teachers friend of mine. Thanks. I wonder if I can ever get as organized as you. I keep trying. 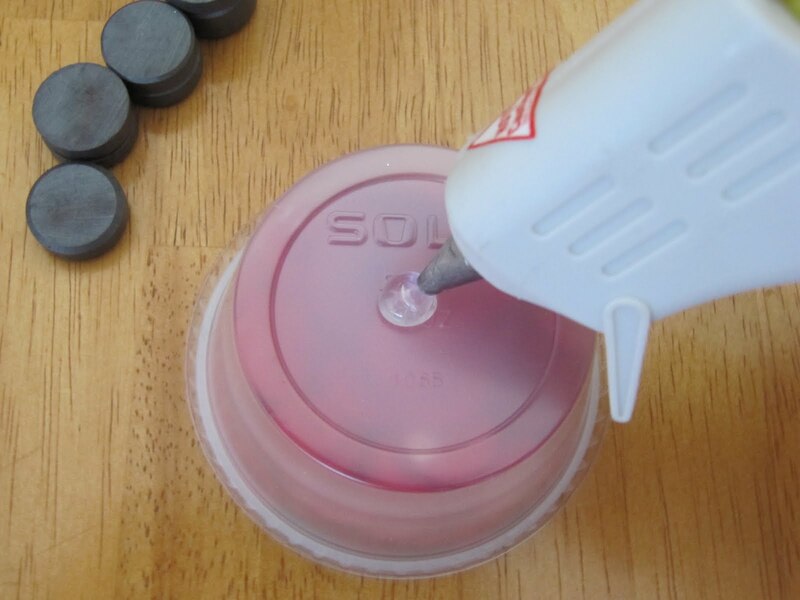 Wow, what great uses for plastic cups! What a great idea! I'm impressed with what you come up with every week! I save the individual containers applesauce comes in. They don't have lids, but they sure come in handy. 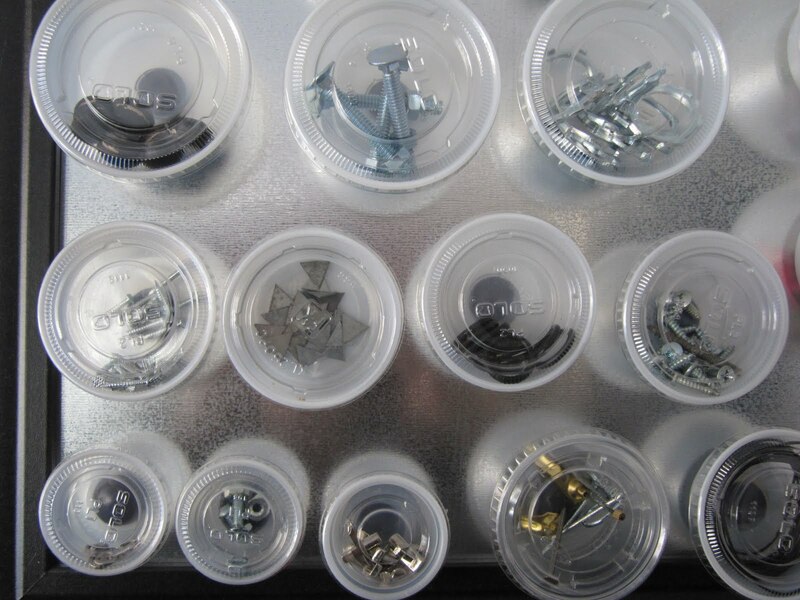 If you take something apart and need to keep the screws safe, put them in one of these cups. You need to do a little painting? Put some paint in one! Toss it when you're done! Cutting buttons off some thrift shop shirts? Temporarily store them in a cup while you work. WOW!! That is fantastic Karen. Now if I can find a wall big enough for all my stuff?! i recognize those cups! i own a restaurant and would have never have thought of this idea lf am going to make a board for myself! A suggestion is if you cant find them in a small quantity just ask a local restaurant to buy some from them. I sell sleeves of them all the time to people wanting to make jello shots! I have a question. When you take it down to use it, doesn't it fall over and spill out when you try to sit it on a table? Wouldn't a flat magnetic strip be better for that? Maybe if your magnet isn't too big, you could put it on the inside of the cup. I thought of the tipping thing, also. I be spilling things everywhere, I know it. if you keep something metal on your desk (a metal lid stuck to an old coaster, for example), you can stick the magnet cup to that while you work with it, to keep it upright. I am working on setting up my sewing studio at this time, and this is a great idea! Thanks so much for being so creative and for sharing your ideas. 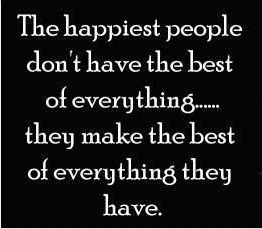 I just envy people who have so much stuff at times. this is one of them. I started laughing when I saw this and am still laughing...Karen, you got a lot of stuff girl! excellent post as usual and so neat too! Karen, you are so smart. Thanks for the great idea! This is great! I'm in the middle of redoing my craftroom. I'm your newest follower. I'd love for you to come by. 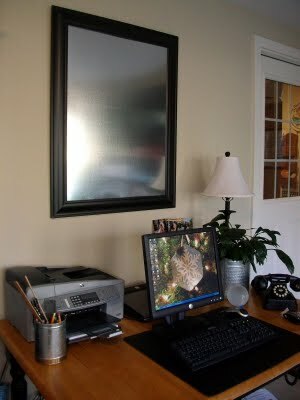 I LOVE the idea of putting a metal board into such a wonderful frame, that makes it practical PLUS beautiful. 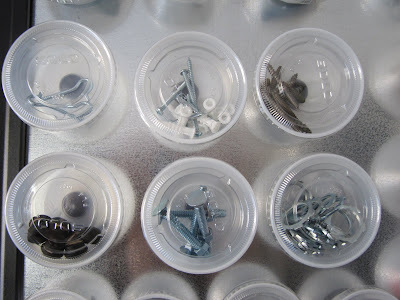 Instead of you solution with the little plastic jars, I have bought similar little magnetic jars at IKEA, their name is GRUNDTAL and they are very stable and have very strong magnets so they also hold heavy things! 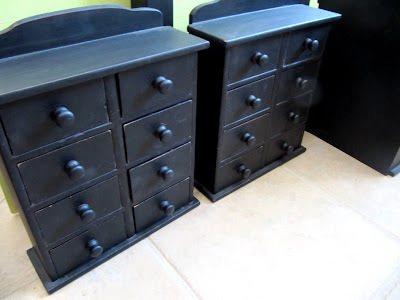 They com in units of three which cost about US $ 5 together - so they are more expensive than yours, but I love them! i've actually been thinking about doing the magnetic board thing with makeup in my bathroom - all my makeup comes in these identical little sifter cups with a black lid and a clear bottom with the name on the bottom, and if i stack them then i have to unstack them any time i want a color on the bottom, or (ugg) pull each one out one at a time to see the name on the bottom of the cup. i think you've inspired me to go for it and do it! and i like the idea of doling out daily meds in the containers too!!! great job! Love the cups! 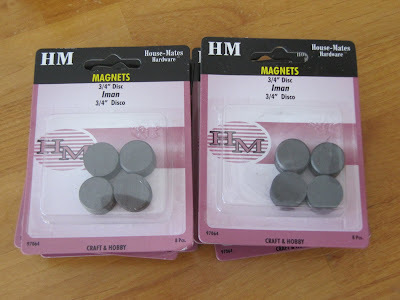 Just a tip on the magnets though. Hobby Lobby has them 50 for $7.99, anf with a 40% off coupon they're only $4.79! oh my heavens! 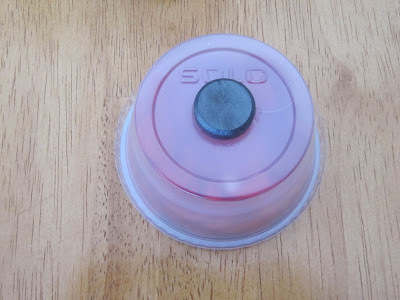 lovin the silo cups idea!! very well done. What a cute idea! It's so perfectly organized. Love the idea. 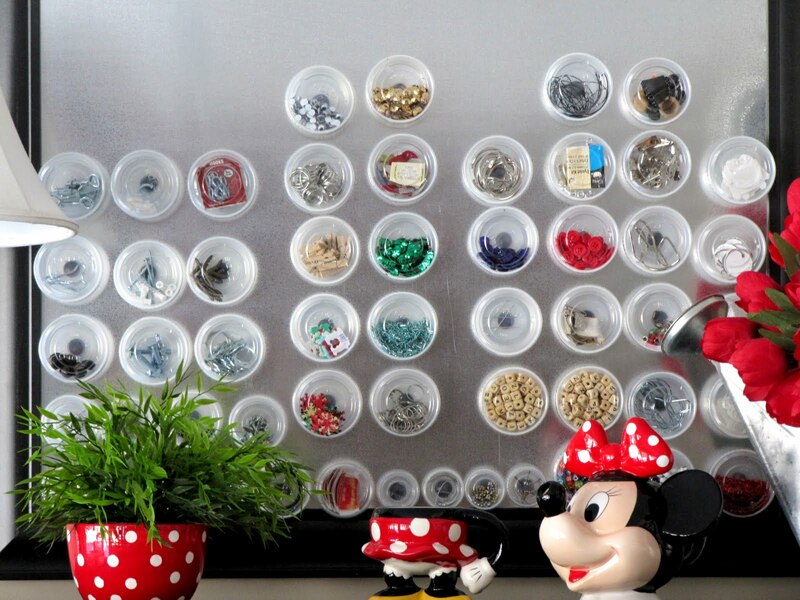 I might have to try this in my craft/laundry room. Ok. If I had a Genius Button, I would award it to you! 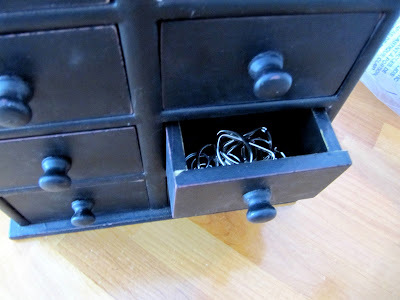 FABULOUS storage solution! This is so great. I have a million of these left over from a location party and now I know just what to do with them. Great idea! I could drool over this! I used to think I was organized, but trying to craft in the middle of a 3-kid household is making me nuts. 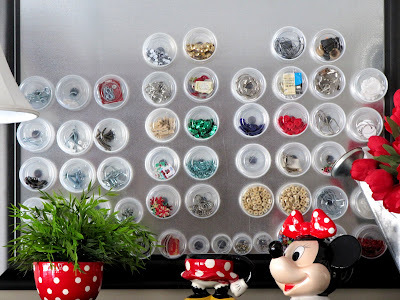 I love, love, LOVE your magnet board/solo cup idea!!! Everything where you can see it, but it still looks fab! Oh someday...someday maybe I'll have one, too! I just LOVE that little cup idea I can't wait to do that in my room how cool of an idea!!! Thanks so very much for sharing! What a wonderful idea!! I am so going to be doing this!! Thanks for the fab post! PS I love the chair in your sewing room by the way! 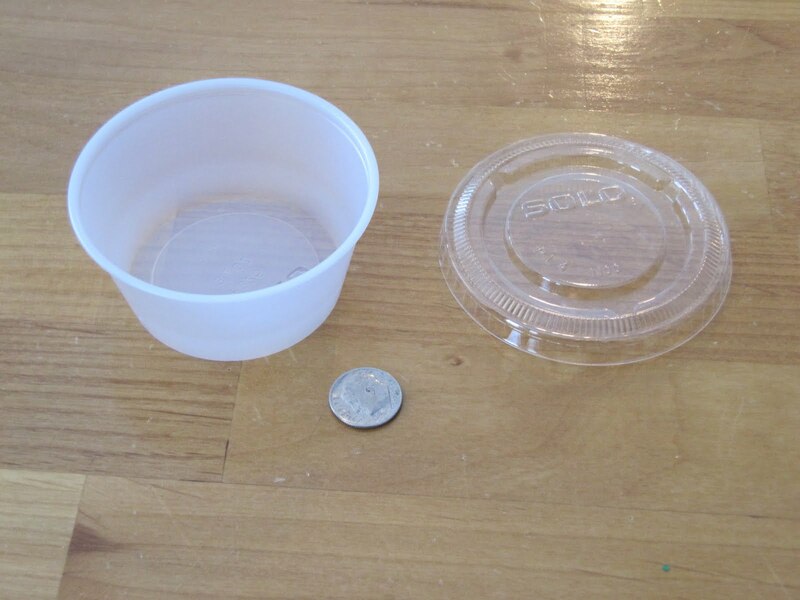 "5 ounce Dessert Cups / Hard Plastic Souffle Beverage Cups with Lids Package of 50"
They are wonderful...and so affordable and just the right amount for me. I sell on Etsy as http://www.warmth.etsy.com and you will see by the size of my product how many tiny components I have. Your magnetic idea was FANTASTIC for me. I want to know the same, shame this hasn't been answered yet. I know that Smart & Final or Cash & Carry have other Solo products so they might have these too. Any restaurant supply store should have these or something similar. WOW I just want to say that I found your blog on Pinterest,and I am so happy that I did!! I just had my first child in 2011 and I am ALWAYS trying to organize all the Stuff in our house!! I have the same quote on the top of my blog as you!!! come visit sometime !! thank you so much for sharing all these wonderful ideas!! This is great. i also love the "crap" baskets"
Don't forget jello shots for the leftover cups, tee hee... Love this idea!! I'm so going to do this with the empty plastic containers my daughter's baby food comes in! Another person has asked but noone has answered this question yet. If you put leavier items or fill the cups up do the lids fall off at all (like even once?). Because I am looking to store a whole bunch of things in this type of thing but i really do not want to ever be picking up little bits and peices off the floor if it fails. I am looking at ordering these cups online as I cannot find them anywhere (been asking around) so it will cost me a bit in postage for the amount I want to get. I really do not ant to waste my money if this does not work out. Thanks, hope you can get back to me on this soon. I've had mine hanging up for a few years now. There have been 2 times when "cups" have fallen off the frame, not the "covers"...one was a particularly freezing cold winter. The hot glue I used to glue the magnets on froze and popped the magnet off. My sewing room is not heated ( it was a three season porch before.) I have a heater on when I'm working, but it gets cold out there when I'm not. The other time when the cup fell off was when I have something heavy in there ( I think it was heavy metal screws). I glue 2 magnet dots on the bottom now and have been trying to use Gorilla Glue when I make more, just because of my temperature issues in my room. I love this idea! I'm always saving those little cups w/lids. Now I have additional ideas what to do with them. FYI-They cost a little more, but I found the round magnets with adhesive on one side. This idea is great. The whole blog is great! I am getting many useful ideas. I would just want to remind everyone to try to reuse these plastic things, as they do end up in the landfill and don't decompose, so not good for the planet. 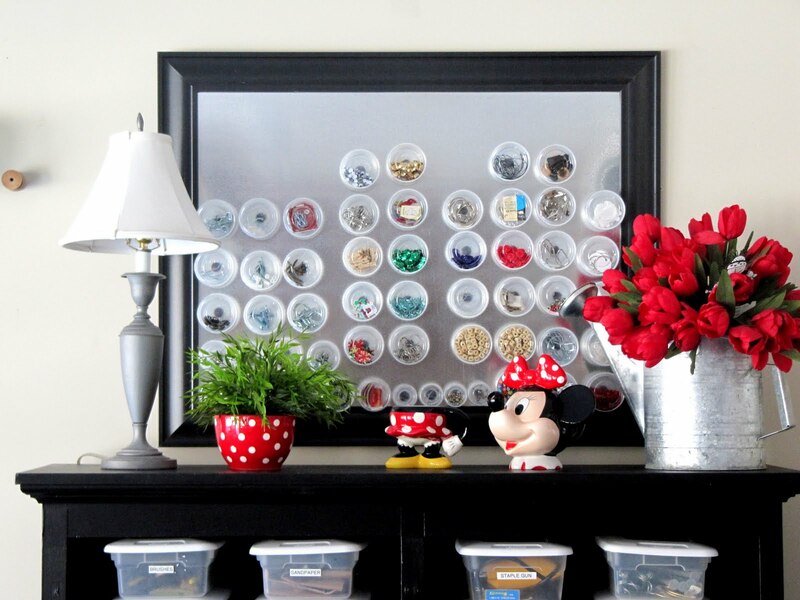 I like the idea of washing out and reusing baby food jars, etc. I also use little plastic cups to store my spices, etc, but not disposable ones, so they get reused for years. 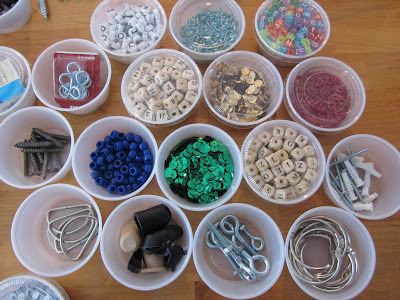 Then if they crack, I recycle them, or use them for beads or whatever. I have an ornate looking frame from a yard sale, with no glass. When I looked closer, it was plastic! I am going to paint it, and can't decide whether to put a steel sheet on it like you have, or pad it and make a bulletin board. Also, I put a piece of steel sheeting on the inside of one of my kitchen cabinet doors. I take meds on a schedule and keep my little schedule inside on the board, and no one sees it. This has worked great for me. Your ideas and blog are just great. 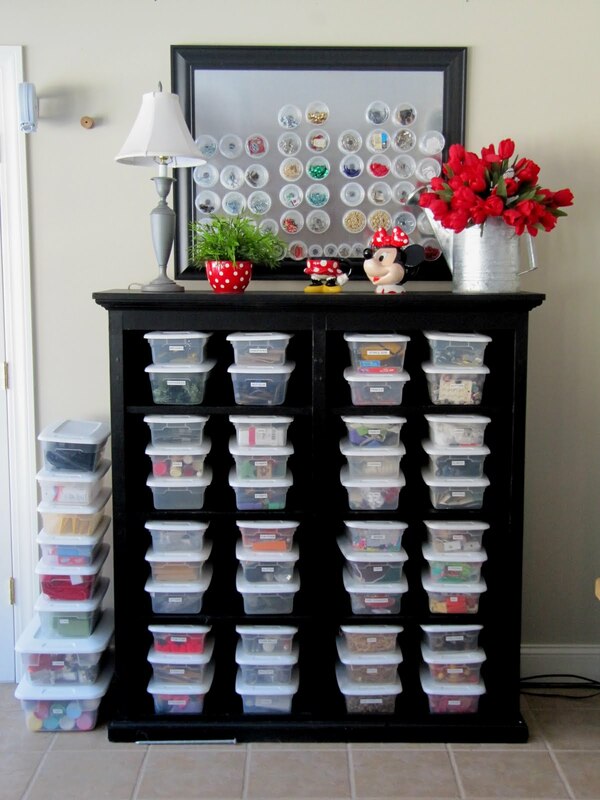 Your sewing/craft room is fabulous. Did you get those popcorn boxes at Michael's? They look so cute! Oh, gotta share one more thing! I put these little round magnets on the bottoms of my glitter glue bottles. I put a leftover piece of steel sheeting on the underside of one of my shelves in my craft room, and the bottles are now upside down on it, so the glue is always in the tip, ready to squirt. It works great!